Jenson is a gentle giant who absolutely loves people. He adores being made a fuss of, and even when he’s out having a run around our paddock he will always come back for some fussing and attention. He might prefer to live with a family where someone is in most of the time, so he can get all the cuddles he deserves. He doesn’t seem to mind other dogs when he’s out on the lead but he would prefer to be the only dog in his new home. 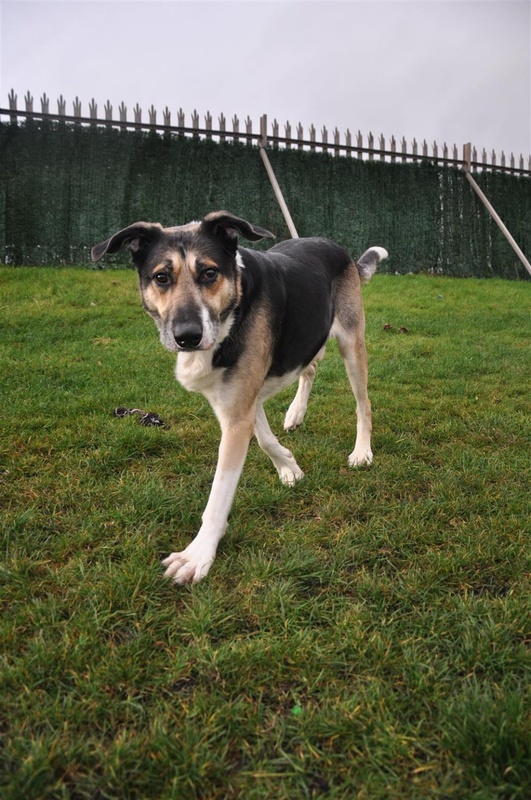 Jenson may suit a home with teenaged children and will make a fantastic pet. An owner who has experience with larger breeds would be beneficial.